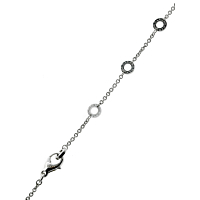 Beauty abounds with this gorgeous 18k White Gold Parentesi Necklace from Bulgari! 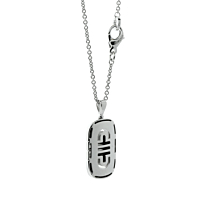 A motif of the popular Parentesi design measures .59″ by 1.33″ of solid White Gold, resting gracefully at the end of the adjustable (15″-18″) chain-style Necklace. An ideal companion for that next executive meeting or dinner date.